Most people know Stewart Copeland as the drummer for the rock band The Police. But while his work with Sting and Andy Summers was some of his most popular, Stewart has had a long and interesting career since his years with that band. 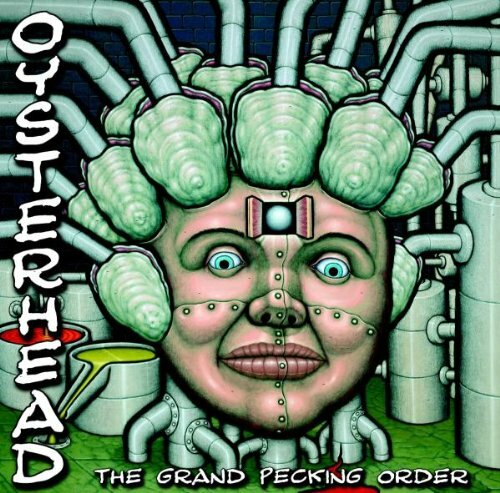 He has been involved with several other group projects including Animal Logic, Gizmo and Oysterhead. He has composed television and film scores, including for the series "Dead Like Me" and "The Equalizer." He has composed operas and ballet scores, and been a featured part of the Italian La Notte della Taranta festival. More recently Copeland composed the score for the European live event "Ben Hur" (and then an edited version of the classic silent film) and a concerto called "Gamelan D'Drum," which premiered in Dallas Texas in February of 2011. He has also been busy building a collection of collaborative tracks showcased on his own YouTube channel and becoming active on social media networks including Twitter, Facebook and Instagram. This page is my little tribute to Stewart, who happens to be one of my favorite composers and drummers. I hope you enjoy it and perhaps learn something new about his career and solo work, and check out some of the recordings spotlighted here. 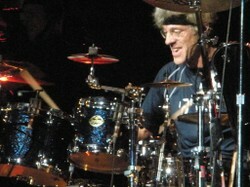 Image above: Stewart Copeland on stage with The Police, July 2008. All photos on this page are by the author unless provided by Amazon or eBay. Are You a Stewart Copeland Fan? How familiar are you with Stewart Copeland's work and musical career? I'm familiar with his work from The Police, but not much else. I'm a big fan of Stewart Copeland, including his solo projects, other bands, and film composition work. I don't really know much of anything about Stewart Copeland at all. I've heard some of Stewart's solo work, but I'm not a big fan of it. Stewart Copeland was born July 16, 1952 in Alexandria, Virginia, third son of CIA operative Miles Copeland Jr. and Scottish archaeologist Lorraine Adie. Stewart spent most of his early years growing up with siblings Miles III, Ian and sister Lennie in the Middle East, in Egypt and Lebanon where his father was assigned. Ian brought home a drum kit one day as he was trying to get a gig with a local beach band that needed a new drummer; however, it soon became clear that Stewart had more innate skill for the kit and his father arranged for him to take lessons with a local jazz musician performing in Beirut. The family moved to England when Stewart was still a teenager, and he attended Millfield school there from 1967 to 1969. He then attended college at the United States International University and UC Berkeley before returning to England to find work as a road manager. In 1974, Stewart became road manager for the progressive rock band Curved Air, and then performed with them as drummer on their final two studio albums of the 1970s. But by this time it was clear that progressive rock was dying and the music world was ready for something new. Stewart, ever the opportunist, decided it was time to form a punk rock band. One night after one of Curved Air's last gigs, a journalist friend took him to see a local jazz-fusion band called Last Exit. He didn't think much of the band overall, but the singer/bassist caught his attention immediately. He went by the name of "Sting". With Sting and guitarist Andy Summers, Stewart and The Police would go on to record five studio albums between 1978 and 1983, reaching the heights of rock super-stardom. The band would part ways - although never officially splitting - soon after as each member pursued a solo career. Stewart became involved in film and television scoring, working on such projects as "Wall Street", "Talk Radio", and TV's The Equalizer. He would also work on numerous classically-oriented projects such as ballet scores and a full opera about the Crusades, "Holy Blood and Crescent Moon". Stewart wouldn't give up rock music completely, becoming involved in drumming for several acts including Animal Logic, Oysterhead and briefly a line-up of The Doors. In 2007 and 2008, The Police went on a massive Reunion Tour, and since then Stewart has released an autobiography, produced new orchestral and opratic work, and scored a live-action production of Ben Hur. Stewart has been married twice - previously to Sonja Kristina, lead singer of Curved Air, and currently to Fiona Copeland. He is the father of seven children, one of whom, Jordan, now has his own band where he is singer and guitarist: Hot Head Show. What do fans of Stewart Copeland have to look forward to hearing/seeing in the future? Here is a list of his known upcoming and recently completed projects. The best place to go to get breaking news is his Official Messageboard Forum, where fans are always hunting down the latest info. Gamelan D’Drum - More performances by the D'Drum ensemble are scheduled to take place in San Antonio, Texas on November 13 and 14, 2015 as part of the San Antonio Symphony's 2015-2016 season. Orchestral Ben Hur - Additional performance of Copeland's stunning live score set to an edit of the 1925 silent film are scheduled for 2016. It can be experienced in Seattle on February 29, 2015 with the Seattle Rock Orchestra, in Costa Mesa California on March 18 and 19 with the Pacific Symphony Orchestra, and likely at several European venues in cities including Berlin, London, Luxembourg, Paris, and Vienna (dates yet to be announced). The Tyrant's Crush - A new work commissioned by the Pittsburg Symphony Orchestra will premiere February 19 - 21, 2016. The work will also be performed by the New West Symphony Orchestra, several times in May 2016, at different locations in California. Off The Score - In 2016, Copeland will be touring once again with noted pianist Jon Kimura Parker, performing a mixture of Copeland originals and classical works given a unique twist. Dates for these shows as they are announced - and other current projects - can be found at Stewart's community forum. Check out this great video clip from Stewart's recent work composed with the percussion ensemble D'Drum. "Gamelan D'Drum" premiered in Dallas, Texas in February 2011 to great critical reception. D'Drum has since performed the work at other venues as it continues to be a popular, truly unique work, and the subject of a documentary film as well: "Dare to Drum". Here you can see - and hear - some of it in action. This unique tribute album, released in March 2012, features the German percussion ensemble Elbtonal Percussion reinterpreting numerous Stewart Copeland compositions and works from The Police through today. 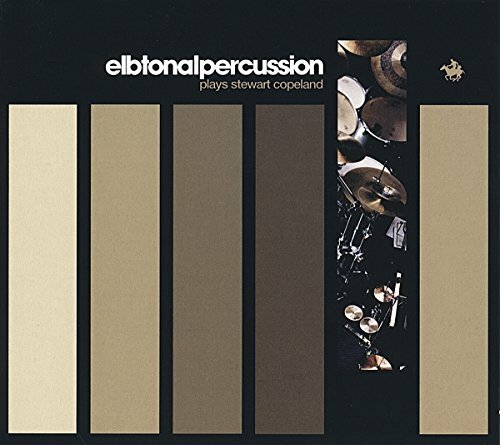 Covering a broad range of Stewart's compositional works, Elbtonal Percussion does an amazing job of presenting Copeland's music in an entirely new light. Particularly impressive are their versions of some of Stewart's synth-heavy scores from the 1980s, like the tracks from "Wall Street". Performed on live percussion they take on new life and showcase just how brilliant the original compositions are. 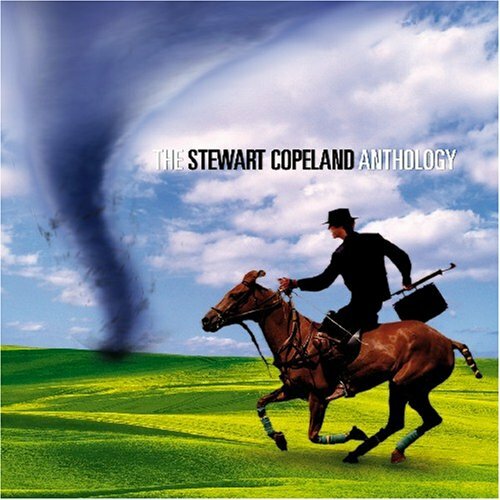 Another standout track is "Regret", originally a very short yet intensely sad and atmospheric piece only available before on "The Stewart Copeland Anthology". Elbtonal Percussion manages to remain true to their source and inspiration while still giving Copeland fans enough fresh reinterpretations to sound like entirely new work. Check out Stewart in action with other musical greats! One of Stewart's projects of late has been inviting unique combinations of musicians over to his studio ("Sacred Grove") for fabulous improvs and jams. Some of the results have started showing up on YouTube this past year (and now on the official StewartCopeland.Net YouTube Channel.) Check out these videos to see Stewart jamming with the likes of Taylor Hawkins, Neil Peart, Les Claypool, Stanley Clarke, Ben Harper and more! Read Stewart's Rolling Stone interview where he talks more about the project - and also answers some questions about any future possibilities of another Police reunion. 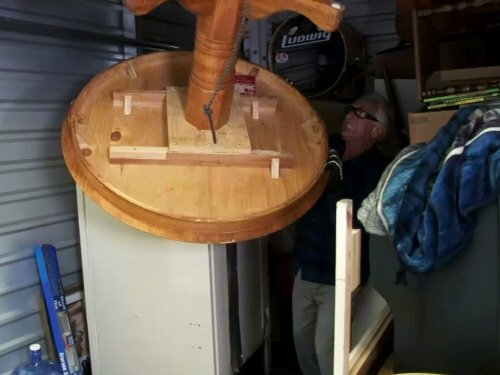 Stewart Copeland on "Storage Wars"
Season 2, Episode 28: "Don't Bid So Close To Me"
If you missed seeing Stewart on "Storage Wars", you can download the episode to enjoy now via Amazon. This episode first aired in January 2012. As per the episode official description: The buyers do battle in Rancho Cucamonga, CA. Dave Hester arrives in a truck big enough to fit his ego AND a massive house hold unit. Darrell and Brandon try to get back on track. Jarrod and Brandi find a vintage mask, hoping to smoke out the competition. And Barry Weiss continues to march to the beat of his own drum, scoring big with a Rock and Roll' legend. Stewart Copeland has had a long and prolific career as a film, television and video game scorer since the 1980s. His first film score project was working for Francis Ford Coppola on "Rumble Fish." He then went on to score several seasons of the hit TV series "The Equalizer" starring Edward Woodward, and also provided the soundtrack for the great 80s film "Wall Street" (sadly he did not return to score its recent sequel). Stewart's scores are always quirky, fun and full of unexpected "instrumentation" - anything from barking dogs to percussive typewriters! Musician Stewart Copeland is mostly known as the drummer for the rock band The Police. However, Stewart has also composed the soundtracks to many films and tv series as well. 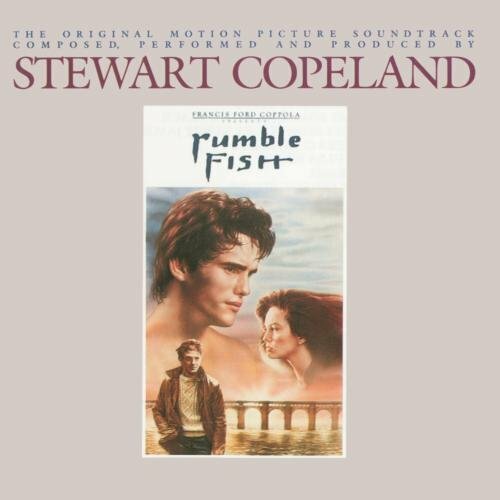 Stewart Copeland's first movie soundtrack, for the film "Rumble Fish," was a revelation to me when I first heard it in the 1980s. Unlike any movie soundtrack before - or since - Stewart's percussive approach to the music sets a tense, mystical atmosphere and can be listened to time and time again. It also features the great track "Don't Box Me In," co-written and performed with Stan Ridgway. I honestly resisted actually seeing the movie itself for two decades because I didn't want the film imagery to interfere with the imagery the music had created in my brain for all of those years. If I had to recommend a few select Stewart Copeland albums, videos and books to recommend to a "new" fan, these would be my picks. It's hard to narrow down the choices, but I feel these give the best overview of his talents not just as a drummer but as a composer, filmmaker, and even as a writer. Stewart's documentary of his years in the Police, culled from his "Super 8" home movies while touring and recording with the band. Lots of fun with neat extras on the DVD, including a commentary track provided by Stewart and Andy. Stewart's autobiography, which makes a great complement to "Everyone Stares." Learn more about Stewart's life before and after The Police, and what went on behind the scenes during the band's reunion tour. 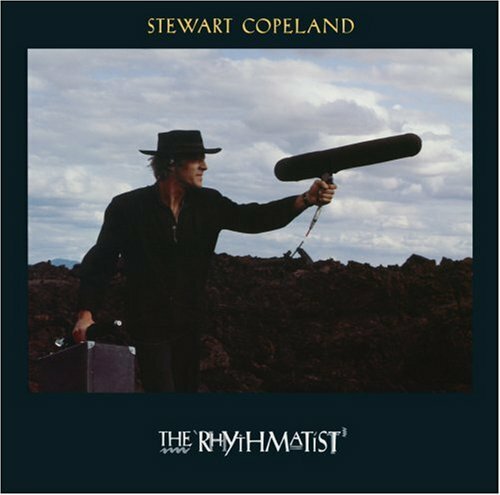 One of Stewart's best solo albums is the soundtrack to his mid-80s film "The Rhythmatist." While the film itself was somewhat...questionable?...the music he composed for it, and co-wrote/performed with the great singer Ray Lema, is well worth checking out. This anthology gives the listener a great introduction to Stewart's solo work, from soundtracks to orchestral compositions. There's a little bit of everything to be found here. There are 21 tracks in all, several of which had never before been officially released. Want to sound like Stewart Copeland on the drums? Well, okay that might be kind of difficult. But you can buy these "signature line" products to use the same sticks and cymbals as Stewart does! Vater's signature Stewart Copeland sticks are great for players who want a light and fast touch. 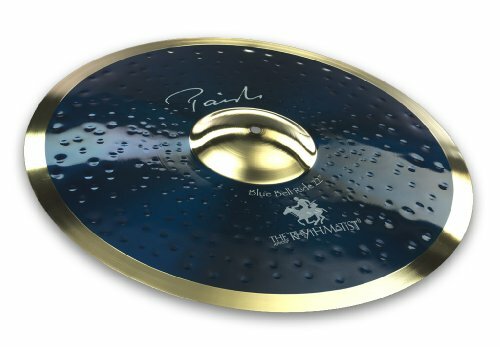 This beautiful blue cymbal was designed for Stewart in time for The Police reunion tour. It sounds as pretty as it looks. 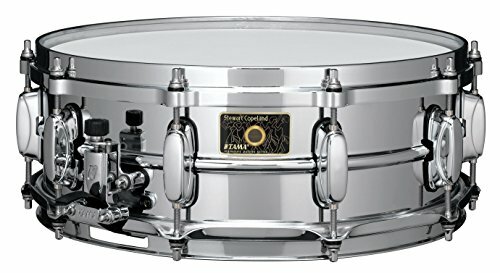 Tama Stewart Copeland SC145 Signature Snare 14 x 5 in. For any drumming enthusiast who loves Stewart's sound, his "signature snare drum" by TAMA is a must for your kit or collection. It's a faithful reproduction of the snare drum used by Stewart on his recordings with the Police, great for reproducing his crisp, sharp sound. It's the snare used by Stewart during the Police reunion tour in 2007-2008. Drumsticks, soundtrack cds, photographs...you never know what will show up on eBay. Here are just some currently running auctions. Klark Kent Memorabilia - Stewart's "Alter Ego"
If you're looking for more information on Stewart: his drumming, equipment, photographs, discographies, etc, these are the best places on line today to find them! You'll also find photos and much more. Stewart's official site. Get the latest news on his projects, exclusive media, and hang out on the biggest forum for Stewart's fans on-line. Stewart's page at the Internet Movie Database, where you can see a full list of his film and television credits and scores. Official discography, messageboard and news content. Official artist page at Tama with information on, videos and photos of Stewart's kit. Download Stewart Copeland music on iTunes here! Profile page with photographs, information and music samples. 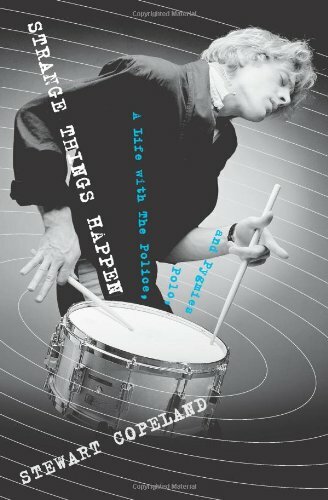 A large archive of Stewart Copeland article transcripts, info and essays. The photo archive is currently down due to software issues but hopes to return at some point in the future. Publishing company website where you can rent, license or buy the sheet music for some of Stewart's compositions! A collection of article and interview excerpts where Stewart talks about his drumming and career. Downloadable hour-long audio presentation featuring Stewart at the 2004 O'Reilly Media Max OS X Conference. Modern Drummer article looking at Stewart's style and techniques. Includes drum transcriptions. OK, so why is Stewart so awesome? Among many other reasons is his wonderful fan-friendly nature. This video is courtesy my awesome friend, Rhonda Eudaly - and of course Stewart himself - for my 40th birthday in May 2012. All about the rock band The Police: Sting, Stewart Copeland, Andy Summers. A basic introduction to the band's history, links around the internet, and an overview of their music. 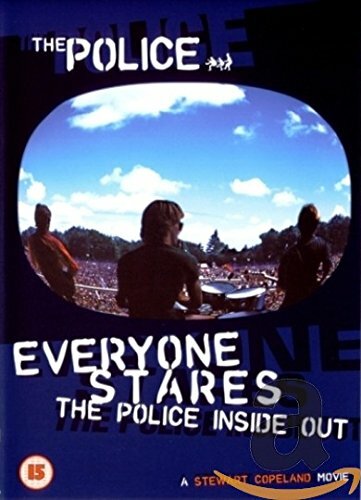 An overview of some of the best photography books published about the pop-rock band The Police. Great photos within each of Sting, Stewart Copeland and Andy Summers.